Pizza is surprisingly easy to make at home, and there are so many different flavor possibilities. The only specialized equipment needed is a pizza stone that can be bought for $10-20. 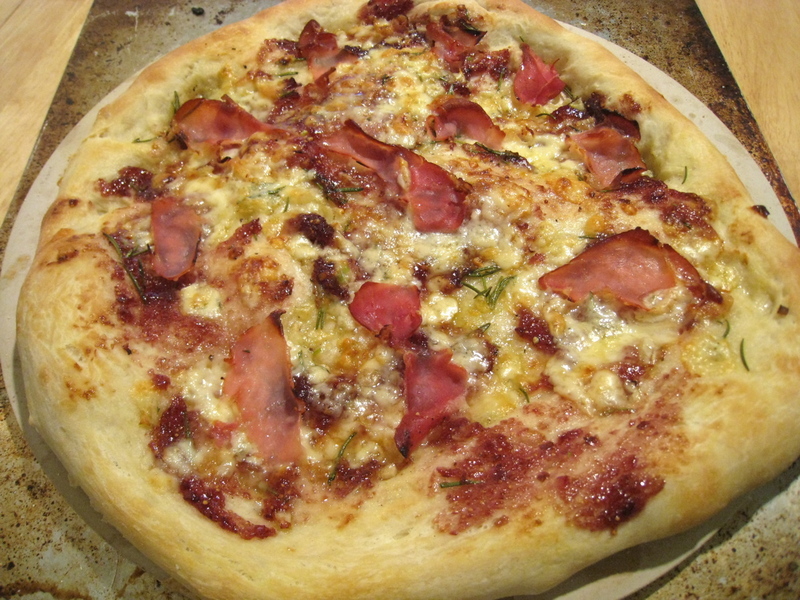 I use store-bought pizza dough from Trader Joe’s, which makes it really easy. This is one of my favorite pizzas to make at home, Todd English’s Fig and Proscuitto pizza from The Figs Table cookbook. Heat up the pizza stone in the oven, scatter some cornmeal on top to prevent the pizza from sticking, and put the dough on the stone. Then drizzle some olive oil, scatter some chopped garlic, rosemary, proscuitto, fig jam, and gorgonzola. Bake for about ten minutes, then add some scallion slivers. The sweet fig jam, salty proscuitto, and pungent gorgonzola are a great combination of flavors. There is a recipe for fig jam, but I use store-bought fig jam from a specialty grocery store since it usually can’t be found at Safeway or Trader Joe’s. 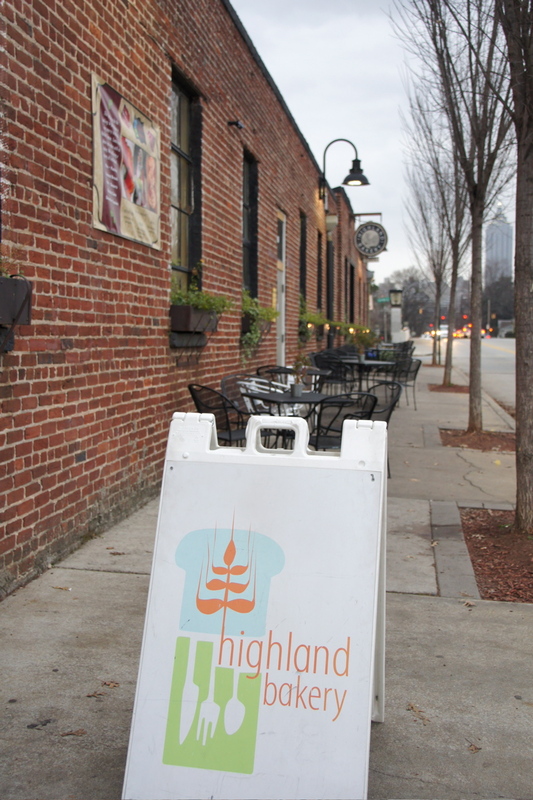 The Highland Bakery is a great neighborhood bakery in the Old Fourth Ward neighborhood in Atlanta. 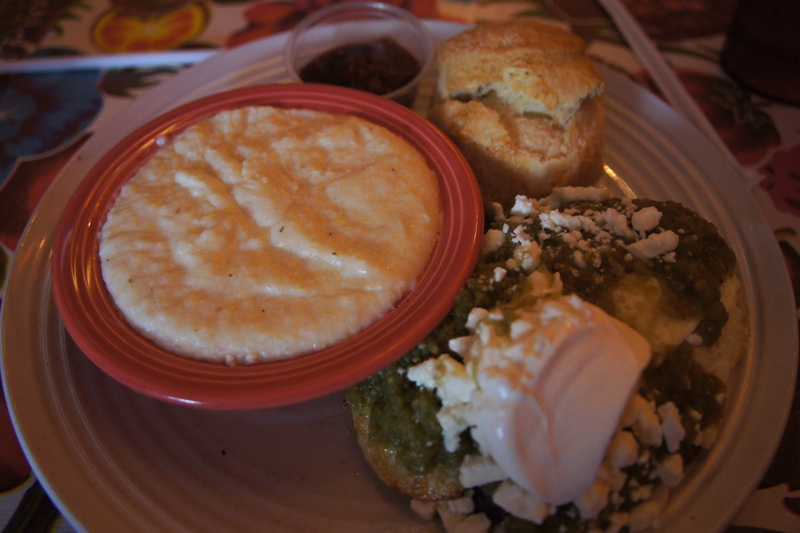 They serve traditional baked goods and Southern-and Southwest-inspired breakfast and lunch. I went for breakfast recently, and was impressed enough to go back a second time during my short stay in Atlanta. The first time, our order took a little long, so the staff gave us some great complimentary sweet potato biscuits warm from the oven. 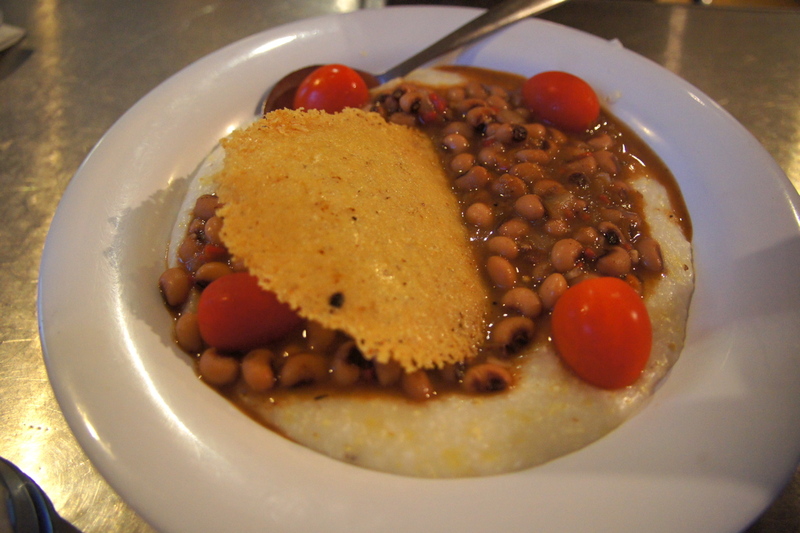 I had the Hoppin’ Highland, black-eyed peas that were bright, delicious, with a little bit of heat, served with tomatoes and a cheese crisp over grits. 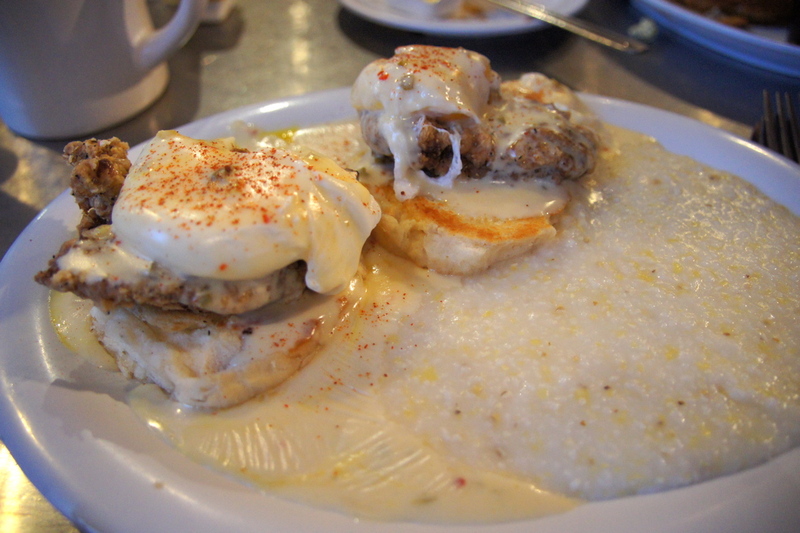 The country-fried steak eggs benedict was outstanding and consisted of biscuits topped with country fried steak, poached eggs, and jalepeno cheddar cheese sauce, served with a side of creamy grits (excellent roasted potatoes also available). 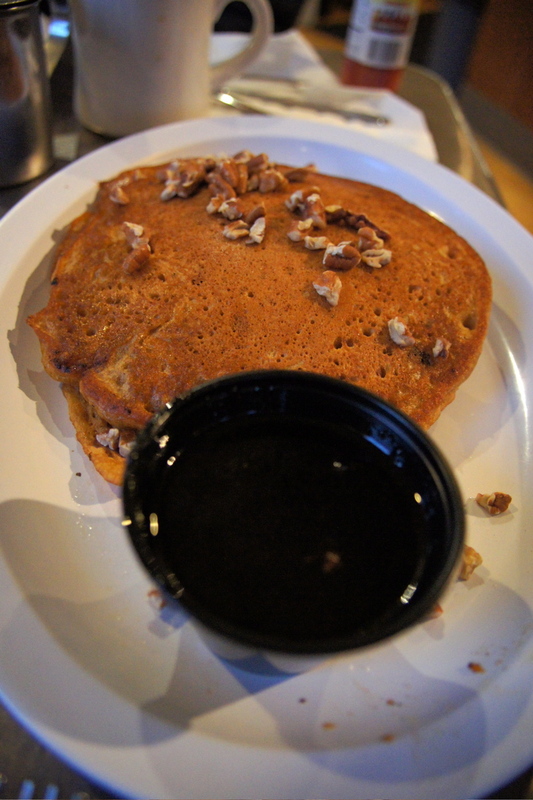 The Sweet Potato Pancakes had great sweet potato flavor and were light and airy. 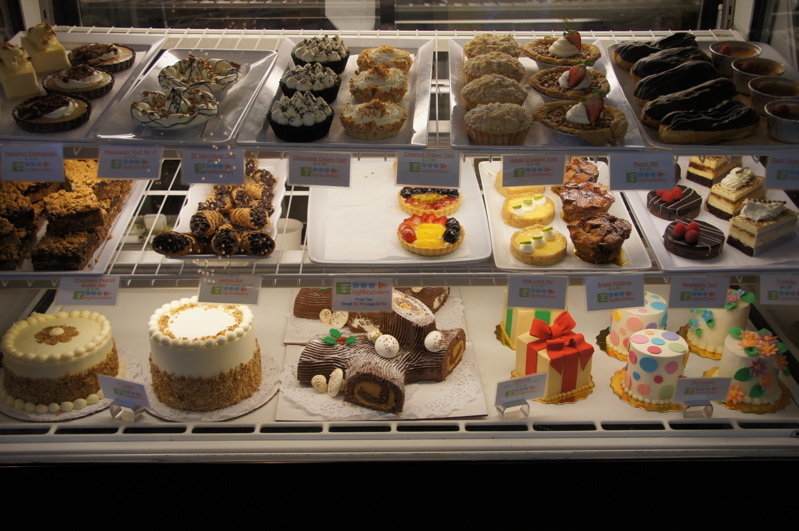 The bakery case was filled with amazing-looking treats. Highly recommended. 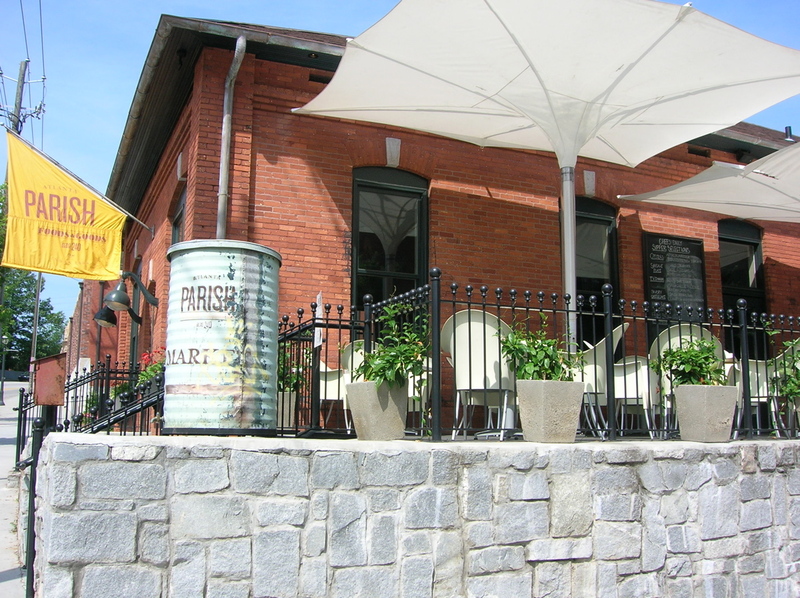 Parish Foods and Goods is located in the Inman Park neighborhood that encompasses multiple concepts within a wonderfully restored former pipe factory building. 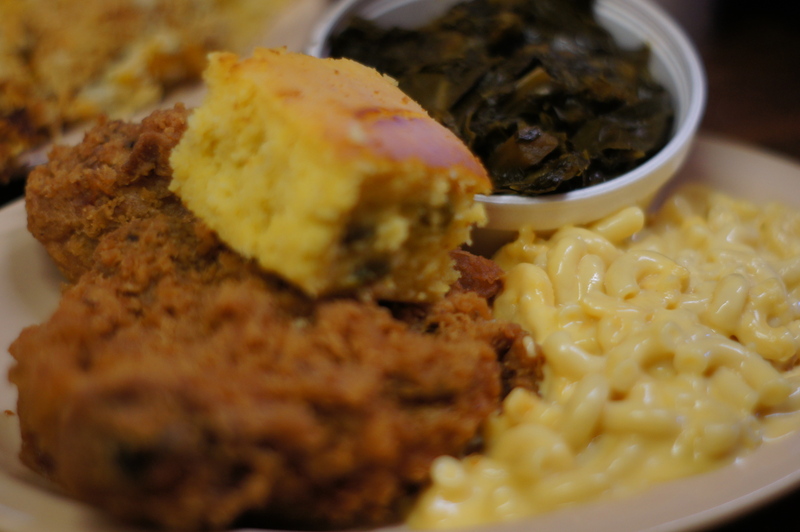 They have a full-service restaurant with dinner and brunch service focusing on Southern cuisine, and a downstairs market and coffee bar that are open all day. At the Market, there are a lot of great value specials, like a whole roast chicken from Spring Mountain Farm and three sides for $20. Bread pudding was pretty good dessert, but the banana cream tart was so-so. 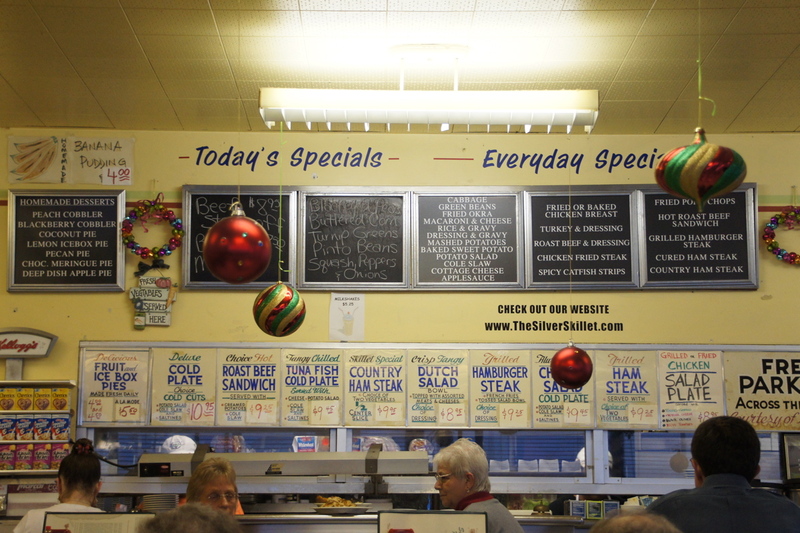 In a previous trip I had eaten in the main dining room for dinner, and had a great meal with several seasonal vegetables served over grits for about $12. Definitely recommended. 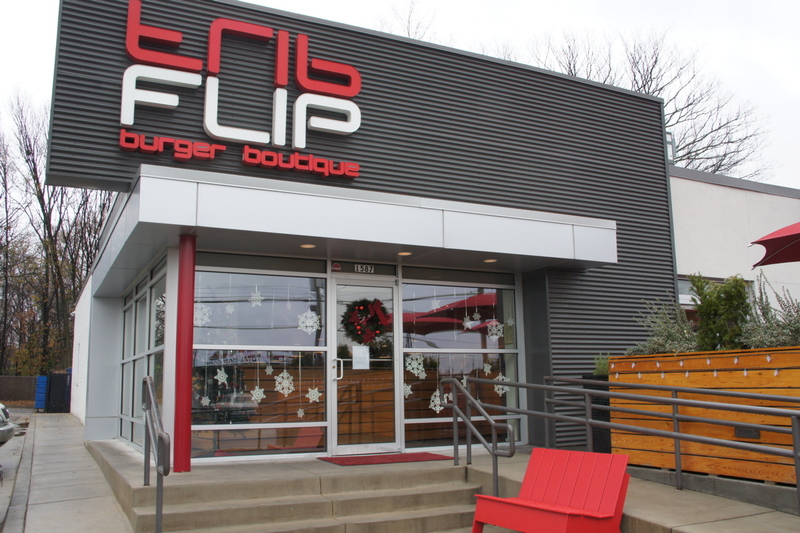 Flip Burger Boutique in the Westside neighborhood serves burgers, fries, and shakes but with a modern, fun twist courtesy of Creative Director Richard Blais, who won Top Chef All-Stars. The shakes are made using liquid nitrogen and include flavors such as Foie Gras and Nutella with Charred Marshmallows. 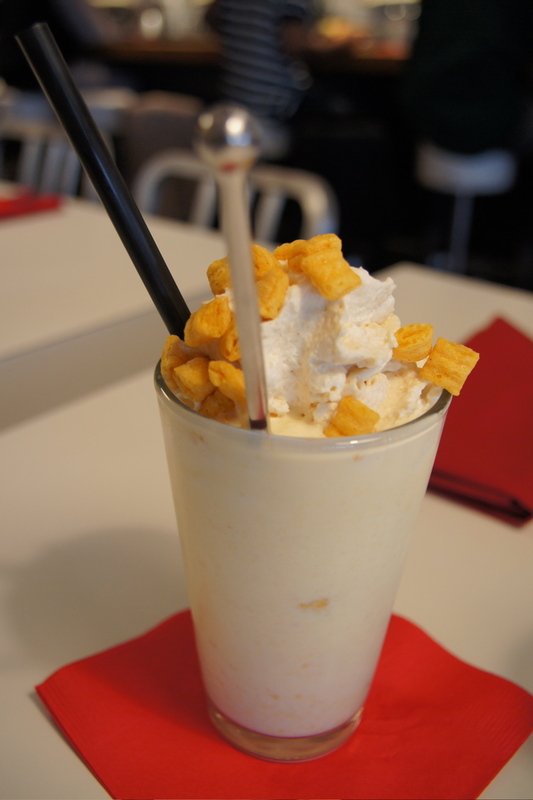 I had the Cap’n Crunch Shake with Peanut Butter Foam, which tasted exactly how you might imagine a Cap’n Crunch shake should taste. Sweet Potato Tots with Chocolate Salt and Marshmallow Foam are an updated take on sweet potatoes. The burger special of the day was a Turducken, with duck confit, chicken, and turkey formed into a patty and deep fried, served with stuffing and cranberry sauce. 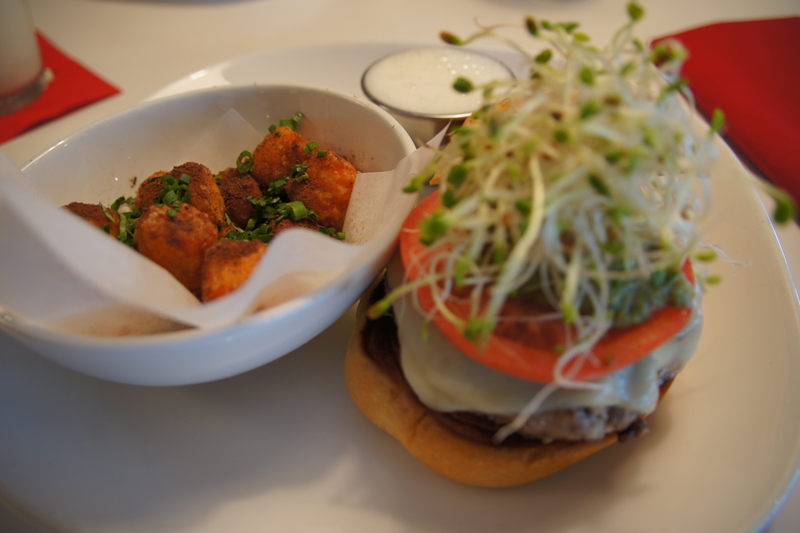 They also have a $10 prix fixe with choice of classic/turkey/vegetarian burger, choice of fries/onion rings/sweet potato tots, and a fountain drink that is good value. Service was attentive and friendly. There are two locations in the Atlanta area. Definitely recommended. 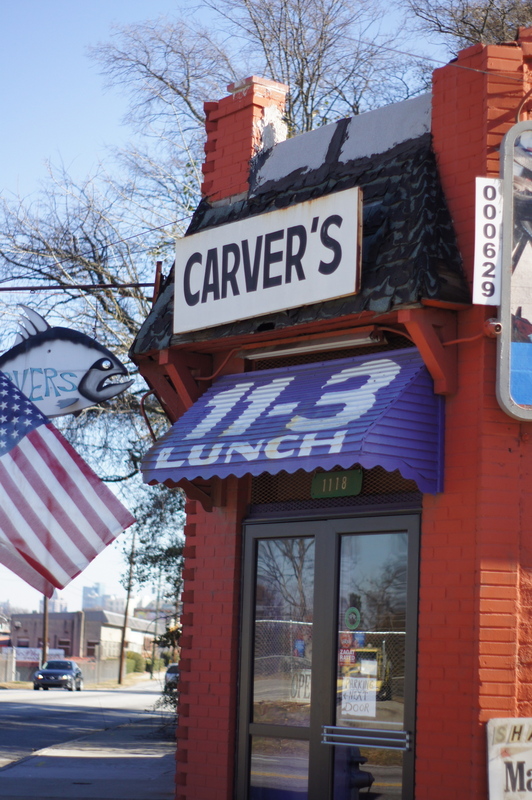 Carver’s Country Kitchen is an award-winning Atlanta institution that serves great, homemade Southern food. It is located in an industrial area northwest of Georgia Tech and is a bit of a drive from central Atlanta. 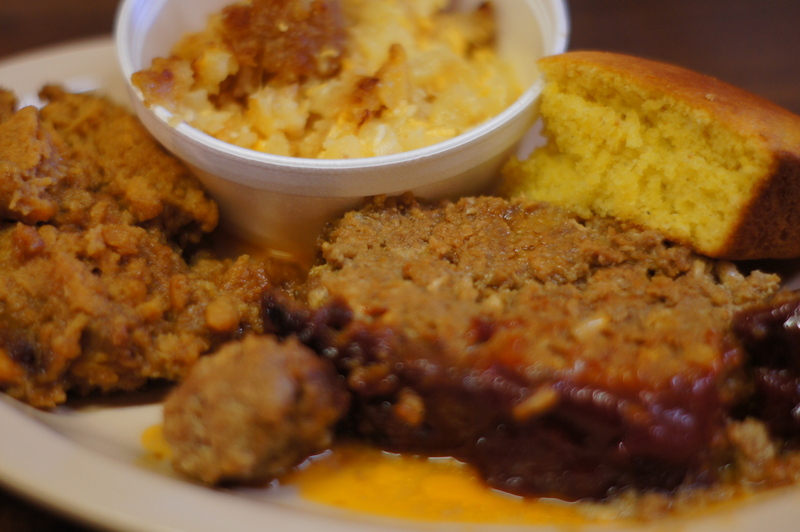 Country-Fried Steak, Meatloaf, outstanding sides, corn bread, and desserts are served here. Highly recommended. 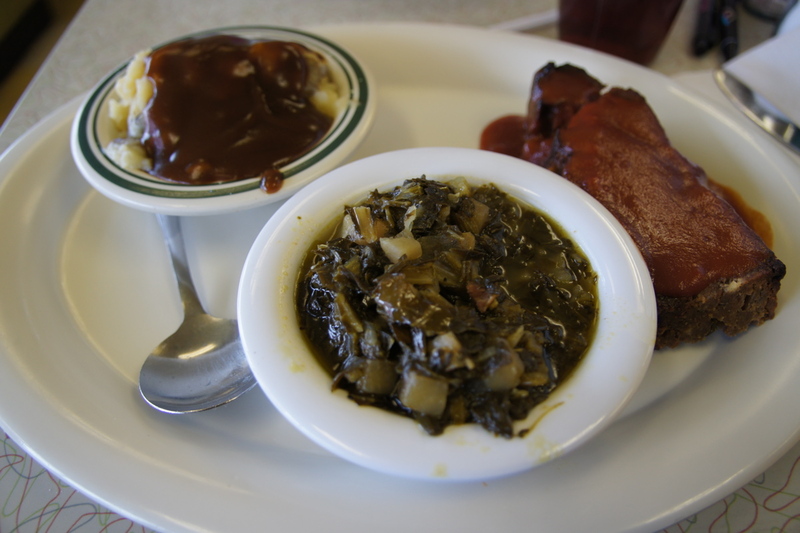 The Silver Skillet is a traditional diner established in 1956 that serves breakfast and traditional Southern food with meat and choice of two vegetables, served with corn bread or a biscuit for around $9. 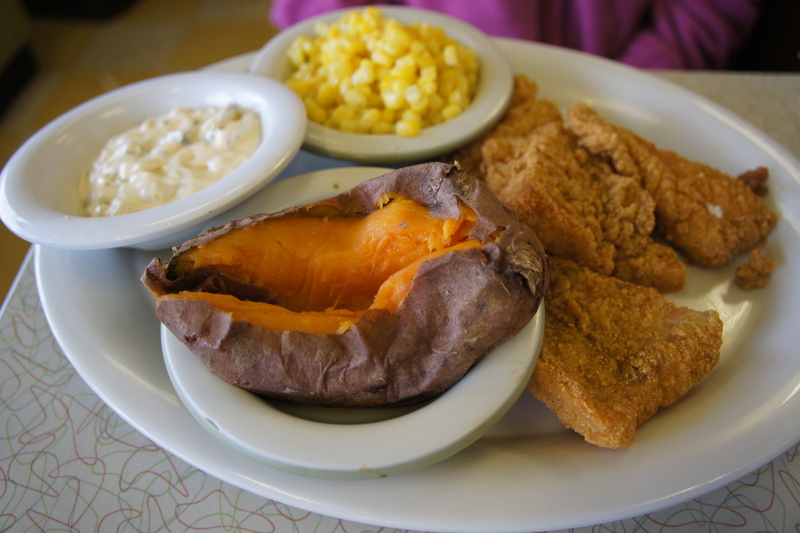 The catfish was fried to perfection with a crunchy corn meal crust. Meatloaf was pure comfort food. Biscuits were very good. 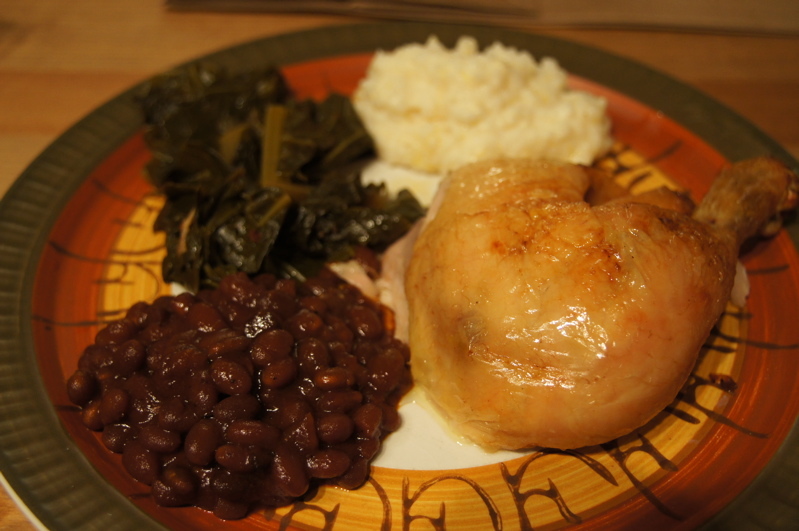 The turnip greens were a bit over-seasoned for my taste, and the potatoes and gravy were pretty basic. 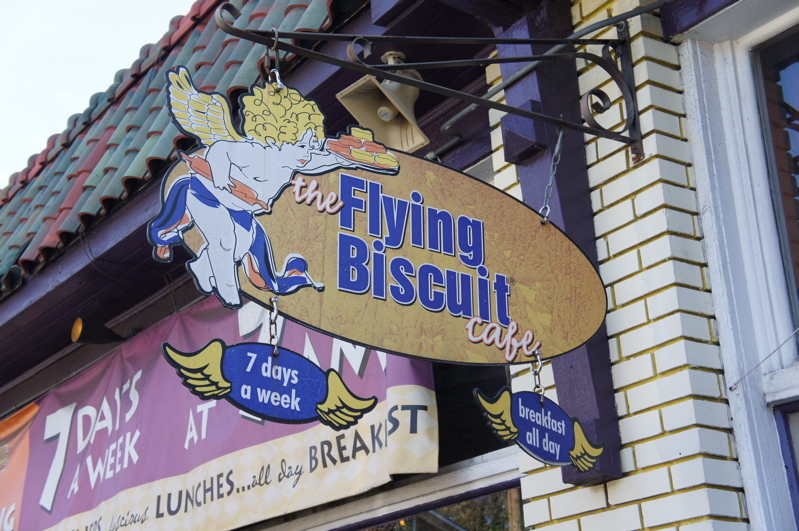 The Flying Biscuit Cafe serves breakfast, lunch, and dinner and is located in the Candler Park neighborhood, but has expanded to a mini-empire with multiple locations in Atlanta and also franchises as far away as Florida. 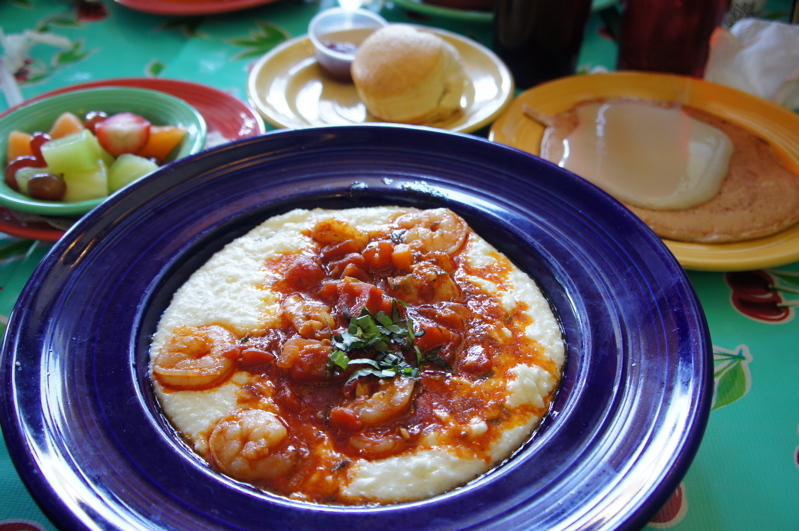 Their Creamy, Dreamy Grits are buttery and rich, served as part of their Shrimp and Grits or other breakfast items. I was less impressed with the signature biscuits; they are good but are topped with sugar and not as savory, buttery and flaky as I usually expect. Overall, I give highest marks to Highland Bakery, Parish, Carver’s Country Kitchen, and Flip Burger. There is lots of great food in Atlanta! I have made five cookies from the Momofuku Milk Bar cookbook so far: Cornflake Chocolate Chip Marshmallow, Blueberries and Cream, Compost, Chocolate Chocolate, and Confetti. I have also gained about three pounds since buying this book. The basics are as follows: 1) prepare sub-recipes for Cornflake Crunch, Milk Crumb, Graham Crust, Chocolate Crumb, and Birthday Crumb for each cookie, respectively; 2) cream together two sticks of butter with sugar and glucose syrup (corn syrup can be substituted) in a stand mixer; 2) whip creamed butter and sugar with egg and vanilla for about seven minutes; 3) mix in dry ingredients like flour, milk powder, cream of tartar, baking powder, baking soda, and a good amount of salt; 4) mix in other ingredients like dried blueberries, chocolate chips, marshmallows, potato chips, and pretzels, and the sub-recipe Crumb or Crunch; 5) scoop out 1/3 cup portions onto parchment paper and refrigerate for at least one hour, or the dough can be frozen for later baking; 6) bake at 350 or 375 for 18 minutes and let cool on the baking sheet. Each batch makes about 15 cookies. 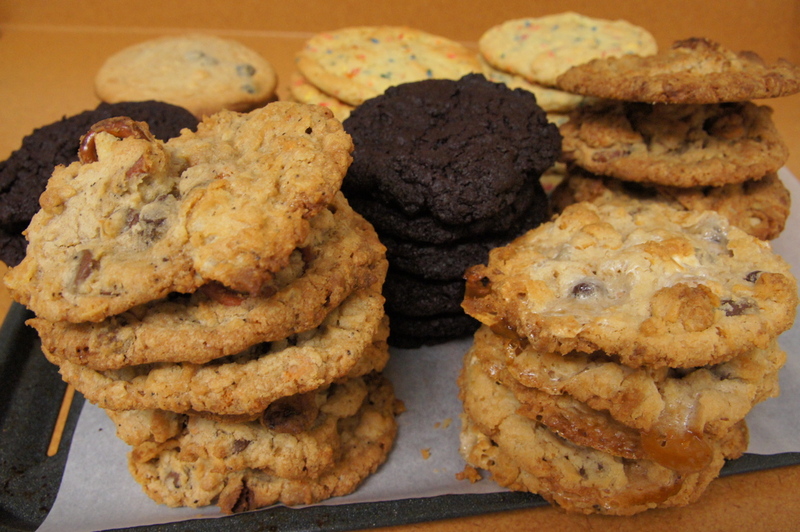 The cookies are characteristically very rich, buttery, sweet, and salty with great texture and a lot of flavor. They are all delicious, but my favorite is the Cornflake Chocolate Chip Marshmallow, followed closely by Chocolate Chocolate and Compost, then Blueberries and Cream, and then Confetti. They are a lot more work than your average cookie but are doable if you have a stand mixer (a digital kitchen scale is useful but not absolutely required). I froze down cookie dough after making different types over the past few weeks and then baked them all to make some sampler packages that I will be giving away over the holidays. A Momofuku Milk Bar Cookie Christmas, followed by a no-added sugar New Year! Link to Compost Cookie and Blueberry and Cream Cookie recipes here. I was in San Diego and took the opportunity to visit Hodad’s in Ocean Beach, CA, about twenty minutes from downtown, because it had been featured on Food Network’s Diners, Drive-in’s and Dives. The show featured Hodad’s bacon cheeseburger that is literally about six inches tall. There is a “patty” made out of bacon topping the hamburger, two slices of cheese, mayo, mustard, onion, ketchup, tomatoes, lettuce, and pickles. It was pretty good, and a total gutbuster. 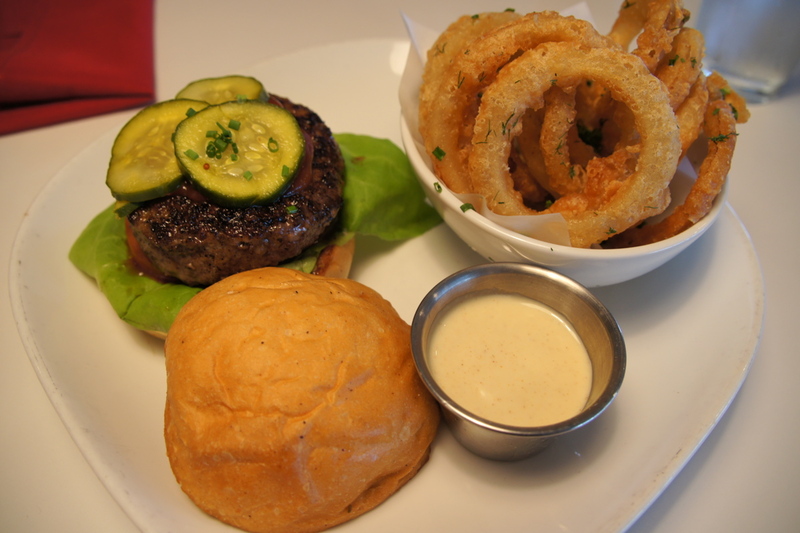 More outstanding were the crunchy onion rings served with ranch dressing and wedge-cut, seasoned french fries. A 1/2 order (!) 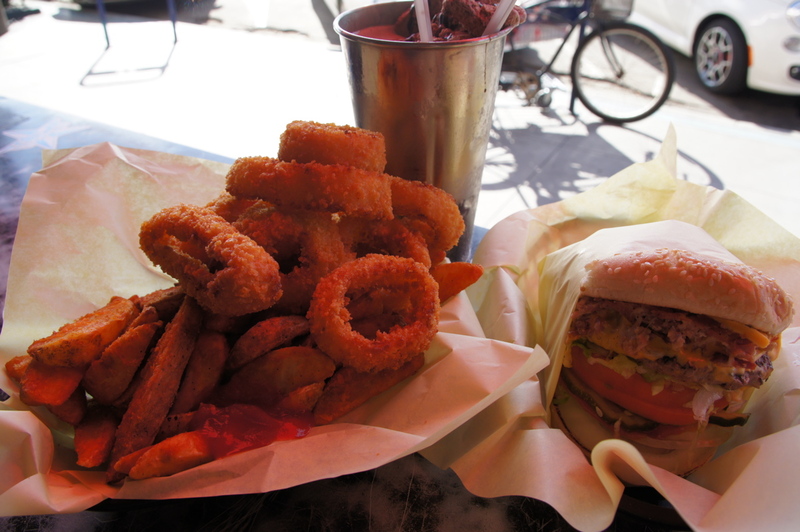 of the combination of frings (fries + rings) is pictured. Finally the malted chocolate shake was really good and again, enormous. The place itself is about a block away from the beach and has a fun, relaxed atmosphere and friendly service. I think it’s probably more fun than their second location in downtown San Diego. Worth visiting if you are in the area. Hanger steak, also called skirt steak, is a tender, flavorful cut that can be a little hard to find but is worth seeking out at a store with a good meat counter. 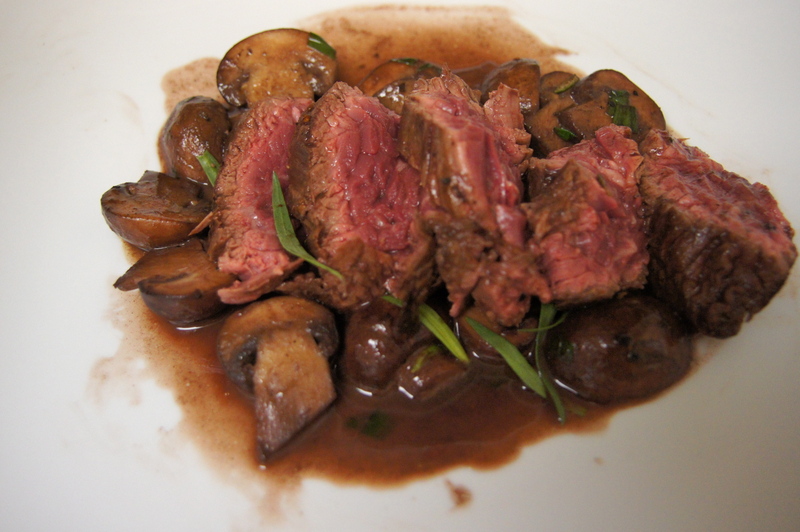 This recipe from the October 2011 Bon Appetit starts with sauteed mushrooms, then the steak is sauteed with butter, oil, rosemary, and garlic. Then a pan sauce is made with red wine, chicken stock, butter, and tarragon. If tarragon can’t be found, thyme would be a good substitution. Easy, good recipe.